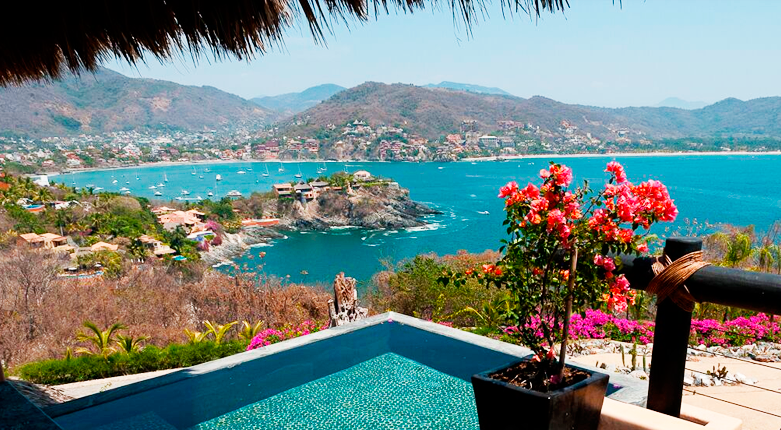 Zihuatanejo is the essential Mexican beach village. This fishing town, located along Zihuatanejo Bay in the state of Guerrero, is one of Mexico’s most enduring and popular tourist destinations. Indigenous noblemen used this coast as a recreational area long before the Spanish arrived. Though the neighboring town of Ixtapa has become a well-known modern resort destination, Zihuatanejo retains its small town charm. Read on for a crash course on what to do to enjoy your time here. Ixtapa-Zihuatanejo International Airport is a 25-minute drive from the Zihuatanejo Bay. The airport welcomes flights from Mexico City, Los Angeles, and Houston, with seasonal flights from multiple cities, such as Dallas, Chicago, Phoenix, Vancouver, and Toronto. 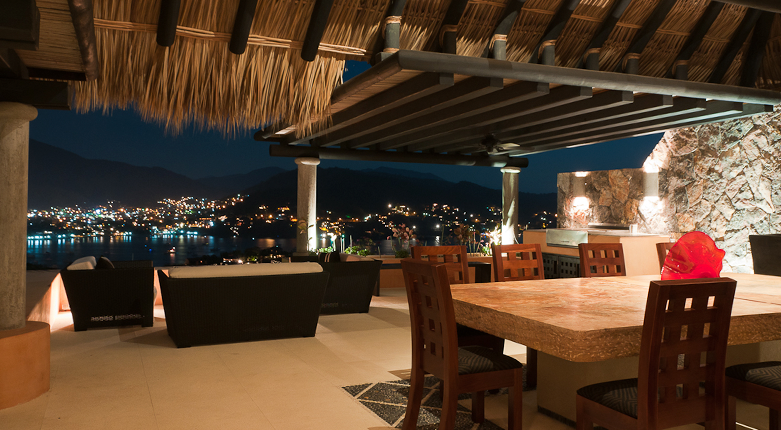 Casa Zihuat is ideally located for you to enjoy everything Zihuatanejo Bay has to offer. It is one of the most exclusive properties in the Ixtapa-Zihuatanejo area, and it’s exclusively available through Villas by Journey Mexico. This villa offers utmost luxury mixed with elegance and character, thanks to the design of Mexican architect Enrique Zozaya. Zihuat is part of a secluded, private community with 24-hour security; it’s set atop a hill and boasts stunning views over Zihuatanejo Bay. The property features an elegant palapa with Wi-Fi, a sound system, and a dining area for 14 people. Each of the villa’s six bedrooms has a king bed, en-suite bathroom, and balcony. In addition to its ample and comfortable spaces, Zihuat can also be completely baby-proofed, making it perfect for the whole family. Adults can stay healthy at the indoor gym and the outdoor yoga terrace. Casa Zihuat has a full-time staff that includes housekeeper, chef, driver, manager, and night-guard. Villas by Journey Mexico is featuring a special offer: guests receive one complimentary night when booking six nights at this gorgeous property. Las Gatas: This beach is great for snorkeling and the best beach for surfing in “Zihua,” as the town is affectionately known. It’s accessible only by footpath or water taxi. 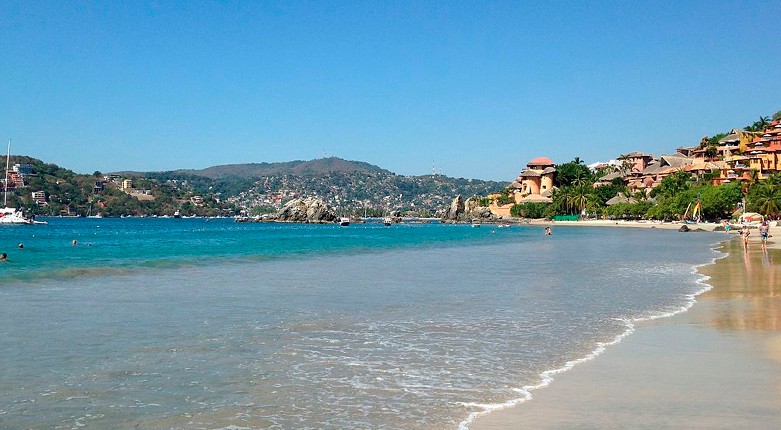 La Ropa: Zihuatanejo’s main swimming beach; great for both experienced and non-experienced swimmers. You’ll find various restaurants along the coast. Madera: Get to Playa Madera from El Puerto Beach and see the various scenic coves along the way. Madera is great for bodysurfing. 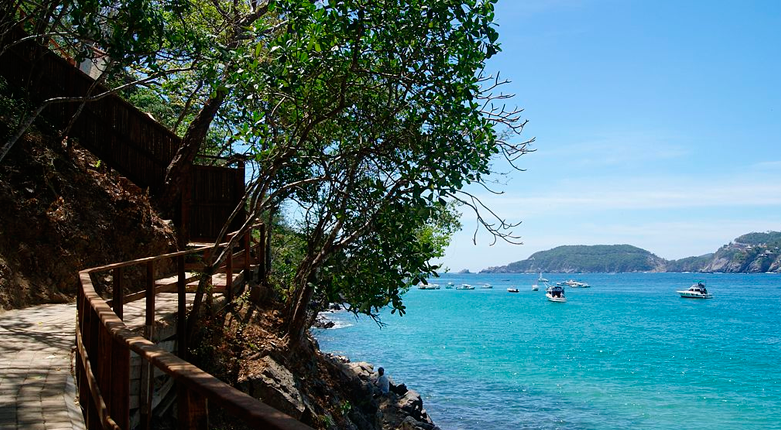 Of course, when you stay at Casa Zihuat, you’ll have access to its gated community’s private inlet. Coconuts Restaurant & Bar: Located in the oldest building in town, Coconuts has a great mix of Mexican and international cuisine. Zihuatanejo’s Central Market: As local as it gets. You’ll find stands with food being prepared on the spot. If you’re in the mood for cooking you’ll also find the freshest ingredients here. La Sirena Gorda: Spanish for “the fat mermaid.” They serve delicious fish and seafood tacos. People frequent this spot for breakfast. La Perla: La Perla has great views of the bay from Playa La Ropa. It serves some of the best seafood in the bay. As in-country experts, Villas by Journey Mexico provides 24/7 support to deliver an unforgettable holiday. Take a look at Casa Zihuat’s photo gallery.